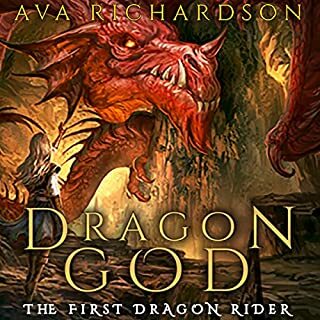 The once peaceful kingdom of Torvald has been ravaged by evil magic, forcing Riders to forget their dragons and their noble beasts to flee to the wilds. Now, anyone who dares to speak of dragons is deemed insane and put to death. Into this dark and twisted land, Saffron was born 16 years ago. 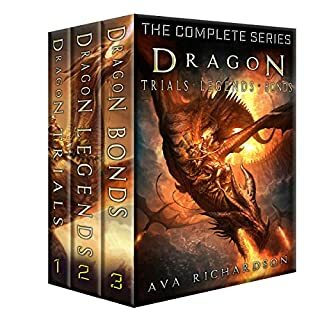 Cursed with dragon affinity and magical powers, she has been forced into a life of exile and raised by dragons - secretly dreaming of a normal life and the family she lost. This book is extremely entertaining and filled with amazing new tales. If you enjoy the Inheritance Cycle you'll enjoy this. My only complaint is after getting use to the way the reader voices characters in the main series to have him suddenly change it in this is slightly offputting. But even so still a great story! What a disappointment after the long wait! A horrible incoherent rambling. I only managed to get 3/4 through this book before my utter disappointment drove me to put it down and stop listening as to not continue to foul my mood. I'm an extremely big fan of the Inheritance cycle books and read the whole cycle through at least 5 times and enjoyed the story and quality of writing every time. However, after the wait of 7 years to be presented with this... Rather keep quiet until another quality work kan be published than to do this, and loose the confidence and support of you fan-base. I really enjoyed listening to this, and I have been inspired to reread the original stories. 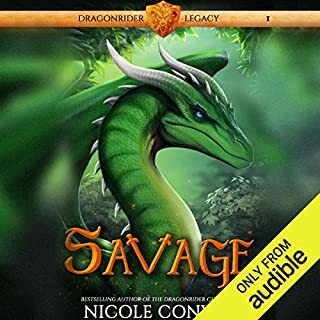 As always Gerard Doyle is an excellent narrator and it was great to listen to the tales of the amazing characters created by Christopher in the Inheritance cycle. However, the story lacked depth and seemed to skim along the surface of events. I look forward to future stories. Really enjoyed it, it’s different from the usual and I can’t wait for number two. I really enjoyed this little 3 part story, meeting old and new characters and I loved it all. I'll miss them until Paollini's next work in Alagaesia but I look forward to it!! Gerrard doyle once again great work and helps with my love for the characters haha. Although his voice for dragons is now underwhelming it was still a great job. The stories I didn't realise I needed! A lovely 'follow up', a must for any fan. 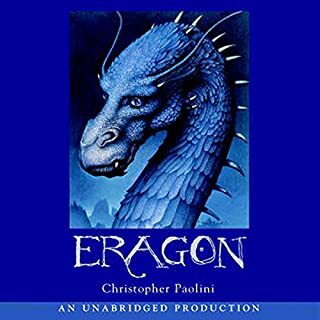 Paolini is really starting to add depth to his world, I really enjoyed this. Love the story, really enjoyed what is happening and being back in a story I love. Hope there is more to come. I listened to the inheritance cycle and thoroughly enjoyed the books. When this came out I thought great. Unfortunately the story bored me to tears and I was annoyed several times with the narrator. 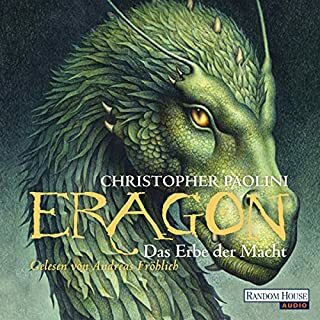 The characters such as Eragon spoke differently and Saphira's voice changed to that of a human voice along with the voices of several of the Dragons. Even Blodgarm's voice was different than it was in the inheritance cycle. The inconsistency grated on me massively. This book, in my opinion was wrote differently to how the inheritance cycle was and for me not in a good way. I generally don't enjoy books where there is little dialogue and this book has very little dialogue. 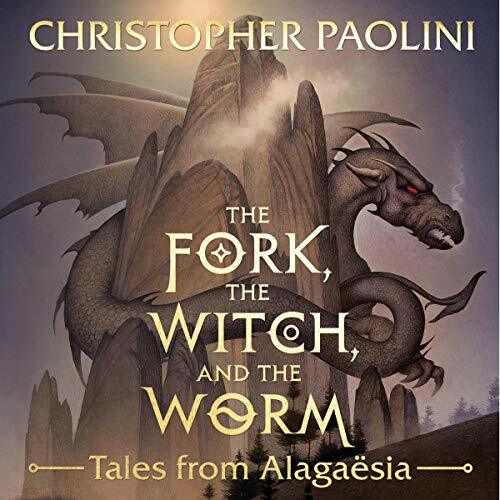 Pardon the pun but I am now at a fork myself on whether I would listen to another book wrote by Christopher Paolini. To go from something as epic as the Inheritance Cycle to this is not good. This book seems to act as a bridge between the inheritance cycle and what is to come. The story (well the three of them) are a bit to short to enjoyed as his other books are though they do leave you interested for what is to come with some suggestive hints here and there. 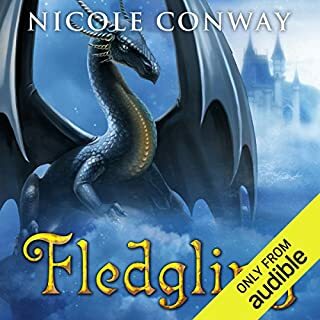 I wasn't particularly invested in the storyline compared to the inheritance cycle books but it was still enjoyable. I would have liked to hear more about Eragon amd the other key characters from the inheritance series.